Blaine's Puzzle Blog: NPR Sunday Puzzle (Jan 10, 2016): Does this Puzzle Measure Up? NPR Sunday Puzzle (Jan 10, 2016): Does this Puzzle Measure Up? 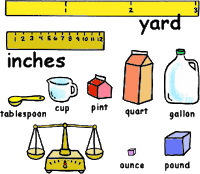 Q: Name a unit of measurement. Remove two consecutive letters. The letters that remain can be rearranged to name what this measurement measures. What is it? Wouldn't this be easier if we switched to metric? 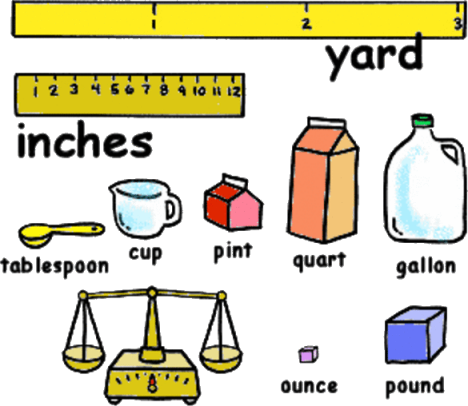 Edit: We still use the same units of base-60 time even in the metric system. But it is hard to measure something this small. Will is correct; no one will have to ruminate for long on this one. I would not want the dubious distinction of not being able to solve this one! Take a second unit of measure, change one letter and rearrange to get what it measures. Will did not lie. Easy puzzle. Nice piggyback puzzle, SuperZee -- a-devil-may-CARE effort that made my puzzle-solving heart RACE. Speaking of puzzle-solving, Puzzleria! offers six original posers this week, including one wonderful automotive/musical puzzle submitted by patjberry. What's a mite annoying, is that my solution to Will's puzzle was delayed by my attempts to make this piggyback one fit the original's criteria. This week’s puzzle segment was the first occasion I can ever recall in which Will said he was going to be playing in a ping pong tournament this week. I.e., he did not say table tennis. Can you hit a fly ball an eighth of a mile? Is the head on that beer six feet thick? Can I buy less than a gallon of that roofing material? Well, heck, there's no point in pretending that any of these might be a viable answer, is there? I must recant my previous comments on last week's thread. Seriously, this is one of the brighter puzzles of recent mention. Not to harp on last week's puzzle, but did I hear WS say his original solution was 16 steps??? Boredom would have stopped me if it took that many. I wondered about that statement. The letters removed often refer to a symbol that is used to denote a quantity that is the reciprocal of the quantity that is measured by the original unit. I am anguished by my unfamiliarity with this usage. Greek letter ν (nu) is used in physics for frequency (f is more common in electrical engineering). Frequency is the reciprocal of time. Minute is a unit used to measure time. That is because I am a metrologist by trade (not to be confused with a meteorologist, who will probably use metrological concepts in his/her meteorological work. Answer reminds me of a musical composition. Both the unit and the quantity bring to mind a certain city. Now you have solved this embarrassment, I am suggesting you remove a different set of two consecutive letters in the original word, and the remaining letters, in order, will describe Magdalen over at AESAP. You can now have much more puzzle fun, and easy too, by checking out this week's Car Talk Puzzler. Blaine's has a link. You should be able to solve this one in your head. The real fun, and I discovered this after going to bed last night, is to see if there might be more than one answer that will work, and if so, how many additional answers are there. This is also easy to solve in your head. Apparently, you think you have the answer. Well, I never claimed your head wasn't bigger than mine. We will have to check back later and see if we both have the same answer. My answer involves a skip in the sequence of prime numbers. Look for a guy with a handlebar mustache. Paul, I agree with your primal stream. SDB, it appears we share a facial appendage, but I blame mine on it being a motorcycle thing, how does skydiving justify yours. SZ. mine has nothing to do with skydiving. Years ago I wanted to see if I could grow one similar to the one Wyatt Earp sported. It tickles when in freefall though. The Car Talk puzzle is cute. The answer is clearly unique. You are correct. I saw something I missed in the puzzle presentation today as I was writing out my explanation. I heard the puzzle as I was still in bed and missed the word, DOZEN in the presentation. I had to construct the puzzle without knowing how many were in the building because of this fact. It did not make the puzzle all that more difficult. It was easy just the same, but it influenced my post above. The interesting element is still the same however. Interest is in the mind of the investor. Wow, ron, that's an incredible yield in this or any market. And I was dozin', as well. Is there anyone who knows, and is willing to stipulate, the official deadline for this puzzle? All the Car Talk programs are now reruns. Tom is still refusing to show up. There never was an actual deadline; it just goes from show to show. No new winners. So I was thinking I would post my reply tomorrow. I doubt anyone will care. I don't recall having heard this one before, but it is very easy to solve anyway. I hope I'm not too far off, but would either of you be shopping? A certain TV program on this evening may give you an idea or two...or three or four...etc. Swap 2 letters to get a dance. The Man Who Fell To Earth has now risen to Heaven. If he fell to sea, he'd be in Davy Jones' Locker. Has anybody else realized in a few short years we've had two high-profile British singers, both born David Jones, pass away? Eerie, isn't it? It doesn't seem sensical that 400 listeners sumitted Teri Garr/tiger roar and 800 a six step ladder with the "common" word hoer. Maybe people were busy during the week between Christmas and New Years? And 800 was the number of folks who submitted answers, not necessarily 6-step answers. Rachel worded that carefully. I agree with many of your criticisms, but not this one. HOER is indeed a common word, but "SENSICAL" is not a legitimate word. Hoers have always been common, and some whores are more common than others, but once a hoer, always a whore. Im waiting for something/someone to show me the way. Wait a little longer, RL. It is nonsensical to think that sensical is not a legitimate word. Last week someone was derided for thinking that 6 was a workable answer. I think it may have been. I am afraid we are going to miss the costraint that Ross and Magdalen's Range Contest put on whoever really runs the show. It may be nonsensical for us to be arguing about this non-word, SENSICAL, but our dear friend, Merriam-Webster, does not recognize it as being so. But more to the point, you certainly cannot deny that Merriam-Webster is one of the premier word hoers of our time. If you should persist in pushing this idea of SENSICAL being a legitimate word I am equally certain Merriam-Webster will be furrowing their brow at your obstinance. Roll Tide! Alabama has won the fifth national championship under Nick Saban! SDB: OED says OK, if not AOK. Your choice of the one eyed one horned flying purple people eater over the big yellow bird was sensical. This is Wednesday; not Thursday! It's not Wednesday this week; back to the usual Thursday deadline. You can find Blaine just below your post in stereo! Tks SDB. I think we need a 911 number for Blaine. The intended answer is 2, 3 & 7. This ends up with 4, 4 & 4 in each apartment. There are an infinite number of possible and workable answers if you are willing to overlook the problem of a building large enough to handle an unlimited number of humans. Sorry about that Ecoarchitect. I took this six levels up, including the one above. I stopped there out of concerns for building safety. 4, 6 & 14 which ends up with 8, 8 & 8 in each apartment respectively. 8, 12 & 28 which ends up with 16, 16 & 16 in each apartment respectively. 16, 24 & 56 which ends up with 32, 32 & 32 in each apartment respectively. 32, 48 & 112 which ends up with 64, 64 & 64 in each apartment respectively. 64, 96 & 224 which ends up with 128, 128 & 128 in each apartment respectively. All that is required is to simply double each number to achieve another solution. When I listened to this puzzle over the air I was still in bed and now, after typing my explanation, I see I missed the word, “dozen” in the puzzle. I had to figure out how many could be in the top apartment and then work from there to get the answer and this made the puzzle even harder to solve, but still easy. The puzzle could have been presented without informing us there was a total of a dozen and since this is how I heard it in my mind that is how I came up with my alternate answers, which I now see do not quite fit perfectly due to the inclusion of the word, dozen. No need to apologize to me, an apartment for 128 people seems very sensical to me! I did not notice the total until I solved it first using 12 as a number I just picked by random. Then saw SDB's comment about dozen occupants. I chose the most sensical number I could think of. While we're on the subject of big apartment buildings, and we've got another day to kill, I was wondering what modern ecoarchitects think of Paolo Soleri these days? I never made it to Arcosanti (someone in the family has a set of bells around somewhere), but I was a fan of arcology when I was in college. Is there anyone carrying a torch for him professionally any more, or has he been left in the recycling bin of history? A little algebra turns 2B-A=2A into 2B=3A, and setting A=2 and B=3 seemed like the sensical thing to do. Another valid equation then occurred to me: C-B=2A, or C=2A+B, so C=7. I assumed SDB's original comment indicated that he thought the answer was unique, which he apparently did not, at that point. Without the requirement that the total # of residents be 12, any answer of the form 2n, 3n, 7n, works for any positive integer n. So 6,9,21 would also be an answer to the 'unrestricted' puzzle, with 12 people on each floor at the end. I am sure all that math stuff would work, but not for me lying in bed, not to mention that I flunked algebra in high school where I was a lousy student. I didn't even try. School didn't work for me. SDB, That makes no sense! I don't understand??? Do you mean it is not sensical? I mean, come on, even skunks make scents. If you add the third equation A+B+C=12 you have three equations and three unknowns and can solve directly. Jan, To Paolo Soleri: I can't say I have my finger on the pulse of all architects, but I think most people don't pay much attention to what he had done. There are small groups who admire his work in organic design - though many of the modern organic folk also try to tie in with low-impact building materials, and massive concrete structures don't fit that bill. There are also some who honor his attempt to create utopian communities, but I wonder if the failure of other attempts combined with collective cynicism (which I think started in the late '70's) has vanquished the spirit behind those dreams. As the great philosopher H. Simpson once said about the words in a song: "Ah, It doesn't mean anything. It's like "Rama Lama Ding-Dong" or "Give Peace a Chance."" SDB nonsensical what you wrote. Hard to comprehend. noncomprehensible. Strange. I understood it with only one reading. I meant I could not comprehend that you had a problem with math. Okay, now I understand your post. I guess my post just did not add up for you. Yes, it did not compute. I would have thought you were at the top of your class. Childhood can be difficult. Last Saturday I attended a monthly meeting with a guest speaker who is about ten years my senior and he began by informing us that he had the same sort of school problems and didn't realize how smart he is until he joined the Navy and took their battery of entry tests. Thanks for that info. I can totally relate. 73.2%>>>7 residents on third floor, 3 residents on the second floor and 2 residents on the ground floor. "Now you have solved this embarrassment, I am suggesting you remove a different set of two consecutive letters in the original word, and the remaining letters, in order, will describe Magdalen over at AESAP." Since she closed her blog site she has become MUTE. I guess we are now off to another year of pathetic puzzles, judging from this insult to our intelligence. > Everyone's dancing around the answer. MINUTE – NU, rearranges TO TIME. The musical clue, I didn't post because I was afraid would have been too revealing, was, “I've seen Barbra Streisand dance around the answer.” For her performance of The Minute Waltz, go to: www.youtube.com/watch?v=ZI_eeVNkwnw. Last Sunday I said, “This week’s puzzle segment was the first occasion I can ever recall in which Will said he was going to be playing in a ping pong tournament this week. I.e., he did not say table tennis.” In other words, it was the first TIME. "Baby steps" at the end of last week's post referred to the Babylonians who considered 60 the most sacred number and the basis of their number system. Everything started afresh at 60 (;-)!) We retain the '60' in our systems of both TIME and direction. This seems like a reasonable point at which to recall Lorenzo's 'city' comment. Both the unit and what it measures can be preceded by "New York" as in "a New-York minute" and "New York Time(s)". My mistake. I thought you were referring to Greenwich, England. The Doobie Brothers did MINUTE BY MINUTE. Hall and Oates did DID IT IN A MINUTE. The Alan Parsons Project did TIME. The MINUTE (-NU) is a measurement of TIME. My hint: “RUMINATE” (-RA) anagrams to MINUTE. SuperZee's challenge: ACRE, change C to A to yield AREA. Lego gave it away with his “RACE/CARE” comments. Ken, an old high school joke: “What's NEW (NU)?” “Frequency!” “Frequency” or nu (ν) is the reciprocal of “wave length” or lambda, λ. Frequency (ν) times wavelength (λ) = c, the speed of light. What's new? Reply: c divided by λ. What's new? Reply: E divided by h.
In the same vein, a damped oscillation can be characterized by the observation, "It only Hertz for a little while." "But it is hard to measure something this small." One person's minit is another person's mīˈn(y)o͞ot. "...dubious distinction " was also referring to the Doobie Brothers. Next week's challenge: This one is an extension of my on-air puzzle. Think of a category in three letters in which the last two letters are the first two letters of something in that category. And the thing in the category has seven letters. Both names are common, uncapitalized words. What are they? Is anyone surprised that Will eats Alphabits for breakfast? Will's love of anagrams is intimately tied to his food (he is what he eats); will marshmallowy vowels be next? NOW is when I miss Magdalen and Ross ... even moreso than Natalie, David, and Alan. Could you picture Will's face on the front of the Alpha-Bits box? With, say, a WESun lapel pin or puzzle tournament trophy? Do you think Wheaties would object to borrowing their tagline? Perhaps if he is a gluten for punishment. That's why it's posed as a question. I thought I was on the brink of a good answer, but my wife says no. We need to be careful. Continuing this discussion of breakfast foods might lead to the answer to this week's puzzle. This is a continuation of the on-air puzzle. On this blog, at least, SDB's job is objector. What kind of wig did Michael Jackson wear in that Pepsi commercial? Ignited? I thought the puzzle might have me over a barrel, but it didn't. Aside from the intended answer I have one that really only pertains to roughly half of us . Is the 7-letter part of your answer (the "thing in the category") an anagram of a roof part?